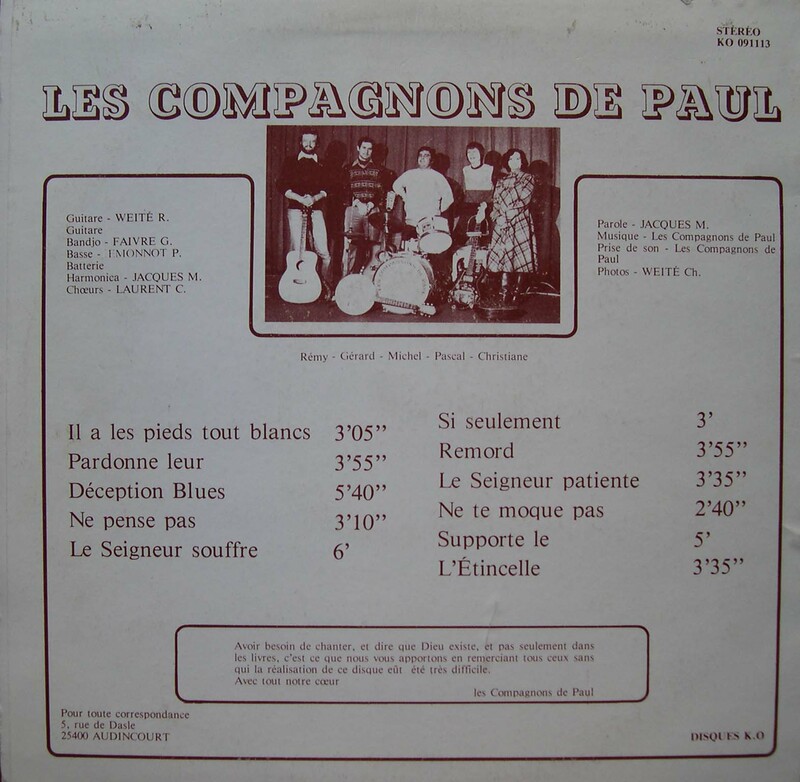 Les compagnons de Paul: Jésus va revenir est-tu prêt? The best way to describe this album’s style is “eclectic.” But that’s not in a contemporary sense–even for the time it came out–but in a traditional sense. 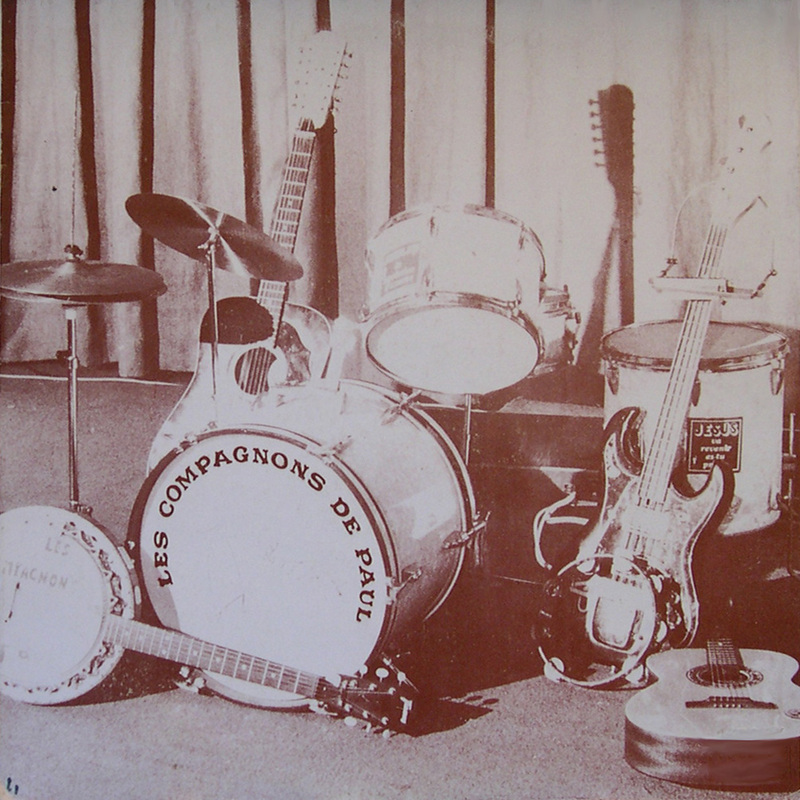 “The Companions of Paul” (the group’s name in English) draw from a variety of folk styles, including French folk music (an ancestor of zydeco), bluegrass and traditional American Gospel (before the polyester suit types got into the act), which in turn have ancestry in British folk music. The result is an interesting album that would be even better if the vocals were a step up in quality from what they are. And I doubt seriously that those who accompanied the Apostle played a banjo. Greek speaking fisherman of the Eastern Mediterranean? That would be a lyre perhaps? Interesting that you mention the French-folk to zydeco connection. The “boite” music of Montreal and Quebec City in the 1960’s was one of the cultural carriers of the French Canadian nationalism, then later the separatism so soundly defeated in the Provincial election this week. I wonder why they don’t call it “The Déception Bleu’s”? But seriously, where is the squeeze box and the washboard?